Murray State University, Breathitt Veterinary Center, Hopkinsville, KY, USA. Copyright: © 2014 Fleck A. This is an open-access article distributed under the terms of the Creative Commons Attribution License, which permits unrestricted use, distribution, and reproduction in any medium, provided the original author and source are credited. The present investigation was undertaken to evaluate the therapeutic efficacy and safety of Crominex® 3+ (a complex of trivalent chromium, Phyllanthus emblica (Amla) extract and purified Shilajit) in moderately arthritic dogs. Eleven client-owned moderately arthritic dogs in a randomized double-blinded study received placebo or Crominex® 3+ twice daily for a period of 150 days. On a monthly basis, each dog was evaluated for arthritis associated pain (overall pain, pain upon limb manipulation and pain after physical exertion) and a full physical exam (body weight, body temperature and heart rate). At the same time intervals, dogs serum samples were examined for biomarkers of kidney (BUN and creatinine), liver (bilirubin, ALT and AST) and heart and skeletal muscle (CK) functions. Findings of this investigation revealed that dogs receiving Crominex® 3+ (1000 μg chromium, 15 mg Amla extract and 15 mg purified Shilajit per day in two divided doses) exhibited a significant (P< 0.05) reduction in arthritic pain noted as early as after 90 days with a maximum reduction after 150 days of treatment. Pain level remained the same or slightly increased in the dogs receiving placebo. No significant change occurred in physical parameters or serum biomarkers in dogs on placebo or Crominex® 3+, which suggested that Crominex® 3+ was well tolerated by arthritic dogs. In conclusion, Crominex® 3+ significantly (P< 0.05) ameliorated arthritic pain and improved quality of life without causing any untoward effects in moderately arthritic dogs. Arthritis, a chronic and progressive debilitating disease, affects quality of life of humans and animals alike. Currently, according to the Arthritis Foundation, approximately 20% of the dog population (78.2 million) in the United States suffers from arthritis . Dogs commonly develop osteoarthritis (OA) due to a number of factors, such as aging, injury or trauma, genetic predisposition, over exercise or lack of exercise, poor nutrition, obesity and environmental factors [1,2]. In general, large breed dogs (German Shepherds, Labrador Retrievers, Siberian Huskies, Rottweilers and others) are more prone to develop osteoarthritis (> 45%) than are the smaller breeds [3-5]. OA is an inflammatory joint disease characterized by chronic and progressive cartilage degeneration, osteophyte formation, subchondral sclerosis, hypertrophy of bone at the margins and changes in the synovial membrane, which eventually results in decreased stability, movement, loading, stiffness of joints, lameness and pain [6-15]. In the early stages of OA, a progressive depletion of the cartilage proteoglycan leads to a net loss of matrix from the cartilage [16,17]. Breakdown and deterioration of the cartilage have been correlated with increased activities of certain enzymes including the matrix metalloproteinase (MMP). The increased cartilage lesions in OA have also been correlated with the enhanced levels of MMP-1 [10,14,16]. These cascading events lead to increased friction and inflammation in the joints. To date, there are no serum, urinary or synovial biomarkers that are specific and validated for OA . Common signs and symptoms associated with OA in dogs include limping, immobility, stiffness of joints, crepitus, periarticular swelling, palpable effusion, pain upon manipulation of the joint and lameness [10,19-25]. The diagnosis of OA in canine patients is based upon history, physical exam and radiographic evidence. Finally, MRI findings reveal the changes of joint and cartilage degeneration consistent with OA [26-30]. Canines with OA are treated with multipronged approaches, involving invasive as well as non-invasive measures. The objectives in managing OA include minimizing joint pain by reducing the inflammation and slowing the progression of the cartilage damage evaluand thereby increasing the joint flexibility and quality of life. To achieve these goals, a variety of pharmaceuticals, nutraceuticals, disease modifying agents and physical therapy with acupuncture have been used [19-23, 31-35]. In the recent past, to manage OA in canine patients, most veterinarians have commonly used cyclooxygenase (COX) inhibiting non-steroidal anti-inflammatory drugs (NSAIDS), such as deracoxib, etodolac, carprofen, firocoxib, ketoprofen, meloxicam, rofecoxib, tepoxalin and others [36,37]. Unfortunately, chronic use of some of these NSAIDS has been linked to adverse events, including reduced appetite, vomiting, gastrointestinal bleeding and hepatic and renal dysfunction [32,36,38-42]. In a most recent placebo-controlled blinded prospective study, Monteiro-Steagall et al. reported that the incidence of adverse effects was statistically insignificant between treated and control dogs. Due to these concerns, dog owners and veterinarians have considered managing OA associated inflammation and pain in canine patients with nutraceuticals, herbs and other disease modifying agents which have minimal or no side effects . Currently, among various nutraceuticals, glucosamine and chondroitin are the two most commonly used supplements, which provide building blocks and hydration to repair the cartilage and to minimize and slow down the progression of OA to ease inflammatory pain and discomfort [33,34,44-47]. In a recent study, Lawley et al. reported that daily administration of purified Shilajit (500 mg, bid) for a period of five months provided anti-inflammatory and anti-arthritic effects in moderately arthritic dogs without producing any untoward events. The present investigation evaluated the therapeutic efficacy, safety and tolerability of a novel and promising product Crominex® 3+ (a complex of trivalent chromium, Phyllanthus emblica (Amla) extract and a low dose of purified Shilajit) in moderately arthritic dogs. Trivalent chromium exerts analgesic, anti-hyperglycemic, anti-oxidative and anti-inflammatory effects. Phyllanthus emblica extract has been used to treat a variety of ailments in humans for centuries. The extract is known to have high concentrations of low molecular weight hydrolyzable tannoids comprising ascorbic acid, ellagic acid, gallic acid, kaempferol, tannins and other polyphenols, thereby exerting antioxidant and anti-inflammatory properties. Shilajit is a blackish brown exudate from the sedimentary rocks of the pristine Himalayan Mountains at an altitude of about 10,000 feet. Purified Shilajit is prepared from this exudate by a proprietary extraction process. The main constituents of Shilajit are dibenzo-α-pyrones (DBPs), DBP-chromoproteins and fulvic acids with DBP core. Shilajit also has antioxidant and anti-inflammatory properties. Crominex® 3+ appears to be a unique formula that offers significant antioxidant, anti-inflammatory and anti-arthritic effects without eliciting any untoward events in arthritic dogs. A total of 11 client-owned moderately arthritic dogs, weighing between 19 and 31.8 kg (41.8 to 70 pounds), were used in this investigation. Based on signs of joint stiffness, lameness and radiographic evidence, these dogs had pain at the level of moderate arthritis. Our inclusion criteria of dogs for this study excluded those having liver, kidney, or heart disease, neoplasia or any other serious disease. Although, throughout the study, dogs remained with their owners, Institutional Animal Care and Use Committee (IACUC) approval and owner consents were obtained before initiation of this investigation. Crominex® 3+ (a complex of trivalent chromium, Phyllanthus emblica extract, and purified Shilajit) capsules and matching placebo capsules were provided by Natreon Inc (New Brunswick, NJ, USA). Each capsule of Crominex® 3+ (25mg) contained 500μg of trivalent chromium, 7.5 mg Phyllanthus emblica (Amla) extract, and 7.5 mg purified Shilajit. In a randomized double-blinded study, eleven client-owned dogs received placebo (Group-I) or Crominex® 3+ (Group-II). The placebo group contained only two dogs because IACUC advised us to keep to a minimum number of dogs due to the fact that arthritic dogs suffer from inflammation and pain for a period of five months. Moreover, findings of our previous studies revealed that dogs receiving placebo showed no improvement in arthritis pain [19-23]. Nine dogs in Group-II received Crominex® 3+ (500μg of trivalent chromium, 7.5 mg Phyllanthus emblica extract, and 7.5 mg purified Shilajit) twice daily (one capsule before morning meal and one capsule before evening meal) for a period of five months. All capsules (placebo and Crominex® 3+) looked alike (white in color and without any labeling) to maintain the standard of double-blinded study. None of the dogs received any treatment or supplement for 3-4 weeks before the study or during the study period. On a monthly basis, each dog was evaluated for arthritis associated pain (overall pain, pain upon limb manipulation and pain after physical exertion), using a glassgow scoring system, for a period of five months. Overall pain, on a scale of 0-10, was graded as: 0, no pain; 2.5, mild pain; 5, moderate pain; 7.5, severe pain; and 10, severe and constant pain. Overall pain is measured on a scale of 0-10 because it provides a broad range for inclusion of daily activity. Pain after limb manipulation, on a scale of 0-4, was evaluated as: 0, no pain; 1, mild pain; 2, moderate pain; 3, severe pain; and 4, severe and constant pain. Pain after physical exertion, on a scale of 0-4, was evaluated as: 0, no pain; 1, mild pain; 2, moderate pain; 3, severe pain; and 4, severe and constant pain. Each dog was given a full physical exam as recently described by Lawley et al. . In brief, the examination of each limb started with the forelimbs and ended with the rear limbs. The evaluation focused on manipulation of the limbs in a forward, backward and circular motion. The three main joints evaluated were shoulder joint, knee joint, and stifle joint. Each canine was also evaluated for popping and cracking of the joint as well as vocalization due to pain. Detailed criteria of the measurement of pain are provided in our previous publications [19-23]. The present investigation was carried out on moderately arthritic dogs. A dog is considered moderately arthritic when exhibiting overall pain about 5 on the scale of 0-10; pain after limb manipulation about 2 on the scale of 0-4; and pain after physical exertion about 2 on the scale of 0-4. Dogs were given a full physical examination on a monthly basis for body weight, body temperature, and heart rate. Normal values of body temperature and heart rate are provided in Table 1. We were unable to measure respiratory rate because of panting during examination. On a monthly basis, blood samples were collected from the cephalic vein using a 3 mL syringe and 22 gauge needle in marble top tubes. Following centrifugation, serum samples were separated from the clot and analyzed for kidney (BUN and creatinine), liver (bilirubin, ALT, AST) and heart and skeletal muscle (CK) functions, using Beckman AU 480 serum analyzer. Analysis of serum samples for these biomarkers indicated that neither placebo nor Crominex® 3+ produced adverse effects in vital organs of arthritic dogs. Normal reference values of all serum biomarkers are provided in Table 2. The data presented are means ± SEM. Statistical significance of difference was determined by analysis of variance coupled with Tukey-Kramer test (P< 0.05) using the NCSS9 Statistical Analysis and Graphics Software for windows. 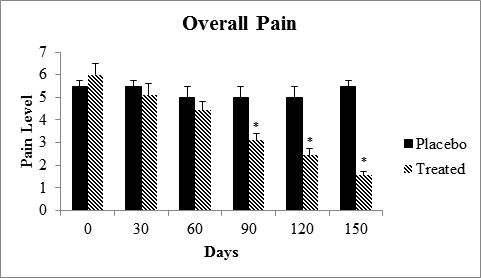 The dogs receiving Crominex® 3+ exhibited a significant (P< 0.05) reduction in overall pain, pain after limb manipulation, and pain after physical exertion on days 90, 120 and 150 (Figure 1-3). Overall pain in Crominex® 3+ treated dogs was reduced from 6.00±0.50 observed on day 0 to 3.11±0.31 on day 90 and 1.55±0.18 on day 150 (Figure 1). The level of overall pain in dogs receiving placebo remained unchanged throughout the study period. For the measurement of pain upon limb manipulation, each limb of the dog was examined in lateral recumbency for body posture, flexibility, joint integrity, crepitance and vocalization.The pain level was significantly (P< 0.05) reduced by day 90 (1.58±0.17) with a maximum reduction on day 150 (0.78±0.08) compared to day 0 (2.50±0.14) in Crominex® 3+ treated dogs (Figure 2). Dogs receiving placebo showed no significant change in pain level (P>0.05). On a monthly basis, dogs were evaluated for pain after physical exertion based on observations such as lameness during or after exertion, body position, flexibility, joint integrity, crepitance and vocalization. 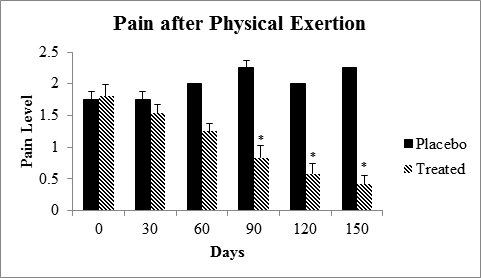 Figure 3 shows that the pain after physical exertion was significantly reduced in Crominex® 3+ treated dogs by day 90 (0.83±0.19) and marked reduction in pain by day 150 (0.42±0.14) compared to day 0 (1.81±0.18). Placebo treated dogs showed no significant change in pain during the study (P>0.05). Table 1 presents the data of physical parameters (body weight, heart rate and body temperature) of dogs receiving placebo or Crominex® 3+ for a period of 150 days. Dogs in either group showed no significant change in any physical parameters during the course of this study. Data presented in Table 2 show the serum values of biomarkers of kidney (BUN and creatinine), liver (bilirubin, ALT and AST) and heart and skeletal muscle (creatine kinase) functions in placebo or Crominex® 3+ treated dogs. Neither placebo nor Crominex® 3+ caused significant change (P>0.05) in any biomarkers at any time during this investigation. Among all domestic animal species, canines suffer more frequently than any other species by this chronic-crippling joint/cartilage degenerative disease due to multiple factors, such as over exercise or lack of exercise, injury, poor nutrition, obesity and genetic predisposition. In the recent past, we evaluated anti-arthritic efficacy and safety of several nutraceuticals, including glucosamine and chondroitin in osteoarthritic dogs [19-22]. The present investigation for the first time evaluated the therapeutic efficacy, safety and tolerability of a potential nutraceutical Crominex® 3+ in moderately arthritic dogs. Daily oral administration of Crominex® 3+ (25 mg, bid) for a period of 150 days significantly (P< 0.05) reduced arthritic pain in all three categories (overall pain, pain from limb manipulation and pain after physical exertion). Significant pain reduction was noted as early as after 90 days, but maximum pain reduction occurred after 150 days of treatment (Figure 1-3). Dogs were able to walk, run, jump on the bed or in cars, or climb steep stairways, and became more energetic and playful. Dogs receiving Crominex® 3+ exhibited no signs of any side effects and no significant change occurred in physical parameters (body weight, heart rate or body temperature). Values of serum biomarkers of kidney (BUN and creatinine), liver (bilirubin, ALT, and AST) or heart and skeletal muscle (creatine kinase) functions remained significantly unchanged (Table 1 and Table 2). Crominex® 3+, a complex of trivalent chromium, Phyllanthus emblica extract, and purified Shilajit, is indicated as an analgesic, but exerts additional beneficial effects by maintaining normal cellular functions, including glucose transport, lipid and triglyceride levels and enhanced cellular energy production. Use of trivalent chromium in type 2 diabetic patients (especially insulin resistant) has become more common because its mechanism of action for anti-hyperglycemic effect is well explained at molecular level [48,49] and it has been found successful in clinical trials . In addition to alleviating insulin resistance, the potential effect of chromium in regulating oxidative stress and inflammation has been addressed . By attenuating oxidative stress and inflammation, chromium in Crominex® 3+ might have exerted anti-arthritic effects in dogs. Phyllanthus emblica extract is a super antioxidant derived from edible fruits and has an ORACFN value of 47,000 μmoles TE/g (TE = Trolox Equivalent). It has been found that the antioxidant properties are due to the presence of low molecular weight hydrolysable tannoids, which produce stable vitamin C like effects without the pro-oxidant effects found in ascorbic acid. The main tannoids of Amla extract are Emblicanin A, Emblicanin B, Pedunculagin, and Punigluconin. By having many herbo-minerals and bioactive principles, such as humic acid (low molecular weight substances like phenolic acids, anti-oxidants and free radical scavengers) and dibenzo-α-pyrones (DBPs), DBP-chromoproteins and fulvic acids with DBP core, Shilajit is known to exert multiple pharmacological actions by having antibacterial, anti-arthritic, antiulcerogenic, anti-hyperglycemic, immunomodulatory, anti-inflammatory, anti-radical, spermatogenic and ovogenic, anti-aging and energetic properties [52-57]. Shilajit has been used for both preventative health and for treating many diseases (such as allergies, diabetes, hypertension, loss of memory, immune dysfunction, arthritis, loss of libido, etc) for more than 3000 years. In a recent investigation, Lawley et al. demonstrated that daily administration of purified Shilajit (500 mg, bid) for a period of five months provided anti-inflammatory and anti-arthritic effects in moderately arthritic dogs without producing any side effects. Both Shilajit and Amla extract have strong antioxidant and anti-inflammatory properties [53,58]. Since osteoarthritic pain is associated with inflammation and oxidative stress, anti-inflammatory and anti-oxidative effects of chromium, Shilajit and Amla extract might be the major mechanisms by which Crominex® 3+ ameliorated the pain in dogs. Shilajit is also known to boost the immune system (by increasing the number of T cells), promote healing of bone fractures, increase muscle mass, strength and endurance and is considered a rejuvenator, anti-aging compound and adaptogen. Of course, additional effects of Amla extract and Shilajit against arthritis in dogs can be due to unexplained mechanisms at this time. Taken all findings into consideration, it can be concluded that daily administration of Crominex® 3+ (25 mg, bid) significantly ameliorated pain in moderately arthritic dogs, without producing any observable untoward event. All dogs receiving Crominex® 3+ responded positively as they became more energetic and playful. Furthermore, there was no significant change in physical parameters or serum biomarkers of liver, kidney and heart and skeletal muscle functions, suggesting that Crominex® 3+ was safe and well tolerated by arthritic dogs. Thus, Crominex® 3+ appears to be a very promising choice for the management and treatment of osteoarthritis in dogs. This study is a part of the Masters thesis of Aundrea Fleck and supported in part by Natreon Inc. (New Brunswick, NJ, USA). 1 Arthritis Foundation (2013). Spotting Arthritis in Spot. Retrieved 09 2013, 02, from Arthritis Foundation. 2 Global Animal (2012). Stiff Joints? How To Treat Dog Arthritis . Retrieved February 18, 2013, from Global Animal. 3 Richardson DC, Schroenherr WD, Zicker SC (1997). Nutritional management of osteoarthritis. Vet Clin North Am, Small Anim Pract. 27: 883-911. 4 Elliot D (2007). Nutritional management of canine arthritis. Vet Focus 17: 43-48. 5 ASPCA (2013). Hip Dysplasia. Retrieved 9 13, 2013, from ASPCA. 6 Muir HCS (1987). Pathological and biochemical changes in cartilage and other tissues of the canine knee resulting from induced joint instability. In: Joint Loading: Biology and Health of Articular Structures. Bristol. pp. 47-63. 7 Vaughan-Scott T, Taylor JH (1997). The pathophysiology and medical management of canine osteoarthritis. J S Afr Vet Assoc. 68: 21-25. 8 Bellamy N, Carr A, Dougados M, Shea B, Wells G (2001). Towards a definition of "differences" in osteoarthritis. J Rheumatol. 28: 427-430. 9 Lennon E, Marcellin-Little D (2005). Canine Osteoarthritis. Retrieved August 5, 2013 from Arthritis M.D. 10 Renberg WC (2005). Pathophysiology and management of arthritis. Vet Clin Small Anim. 35: 1073-1091. 11 Burns K (2006). Research targets and conditions of older cats and dogs. J Am Vet Med Assoc. 229: 482-483. 12 Centers for Disease Control and Prevention (CDC) Arthritis-Basic-Definition-Osteoarthritis. Retrieved June 18, 2010. 13 Dore D, Martens A, Quinn S, Ding C, Winzenberg C, et al.(2010). Bone marrow lesions predict site-specific cartilage defect development and volume loss: a prospecitve study in older adults. Arthr Res Ther. 12: R222. 14 Umlauf D, Frank S, Pap T, Bertrand J (2010). Cartilage, biology, pathology, and repair. Cell Mol Life Sci. 67: 4197-4211. 15 Loeser RF (2013) Osteoarthritis year in review 2013: biology. Osteoarthr Cartil. 21: 1436-1442. 16 Reid DM, Miller GC (2008). Clinical Trails in Rheumatoid Arthritis and Osteoarthritis.Aberdeen, UK: Springer-Verlag London Limited. 17 Thote T, Lin ASP, Raji Y, Moran S, Stevens HY, et al. (2013). Localized 3D analysis of cartilage composition and morphology in small animal models of joint degeneration. Osteoarthr Cartil. 21: 1132-1141. 18 Lafeber FPJG, van Spil WE (2013). Osteoarthritis year 2013 in review: biomarkers; reflecting before moving forward, one step at a time. Osteoarthr Cartil. 21: 1452-1464. 19 Deparle LA, Gupta RC, Canerdy TD, Goad JT, D'Altilio M, et al. (2005). Efficacy and safety of glycosylated undenatured type-II collagen (UC-II) in therapy of arthritic dogs. J Vet Pharmacol Ther. 28: 385-390. 20 D'Altilio M, Peal A, Alvey M, Simms C, Curtsinger A, et al. (2007). Therapeutic efficacy and safety of undenatured type II collagen singly or in combination with glucosamine and chondroitin in arthritic dogs. Toxicol Mechan Methods.17:189-196. 21 Peal A, D'Altilio M, Simms C, Alvey M, Gupta RC, et al. (2007). Therapeutic efficacy and safety of undenatured type-II collagen (UC-II) alone or in combination with (-) hydroxycitric acid and chromemate in arthritic dogs. J Vet Pharmacol Ther. 30: 275-278. 22 Gupta RC, Canerdy TD, Lindley J, Konemman M, Minniear J, et al. (2012). Comparative therapeutic efficacy and safety of type-II collagen (UC-II), glucosamine and chondroitin in arthritic dogs: pain evaluation by ground force plate. J Anim Physiol Anim Nutri. 96: 770-777. 23 Lawley S, Gupta RC, Goad JT, Canerdy TD, Kalidindi SR (2013). Anti-inflammatory and anti-arthritic efficacy and safety of purified Shilajit in moderately arthritic dogs. 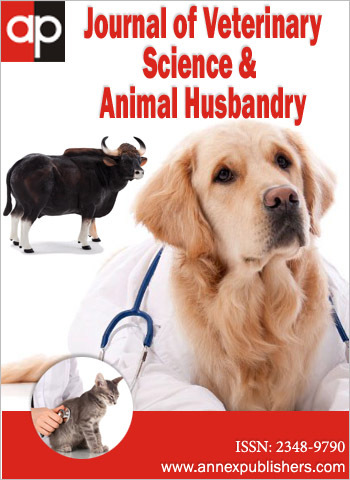 J Vet Sci Anim Husband. 1: 302. 24 Fahie MA, Ortolano GA, Guercio V, Schaffer JA, et al. (2013). A randomized controlled trial of the efficacy of autologous platelet therapy for the treatment of osteoarthritis. J Am Vet Med Assoc. 243:1291-1297. 25 Osteoarthritis in Dogs-Signs and Symptoms of Arthritis and Osteoarthritis. (2012). Retrieved August 8, 2013, from Osteoarthritis in Dogs. 26 Calvo E, Palacios I, Delgado E, Ruiz-Cabello L, et al. (2001). High-resolution MRI detects cartilage swelling at the early stages of experimental osteoarthritis. Osteoarthr Cartil. 9: 463-472. 27 Kumar D, Wyatt CR, Lee S, Nardo L, Link TM, et al. (2013). Association of cartilage defects, and other MRI findings with pain and function in individuals with mild-moderate radiographic hip osteoarthritis and controls. Osteoarthr Cartil. 21: 1685-1692. 28 McCoy AM, Toth F, Dolvik NI, Ekman S, Ellermann J, et al. (2013). Articular osteochondrosis: a comparison of naturally-occurring human and animal disease. Oateoarthr Cartil. 21: 1638-1647. 29 Mosher TJ, Walker EA, Petscavage-Thomas J, Guermazi A (2013). Osteoarthritis year 2013 in review: Imaging. Osteoarthr Cartil. 21: 1425-1435. 30 Piscaer TM, Waarsing JH, Kops N, Pavljasevic P, et al. (2008). In vivo imaging of cartilage degeneration using microCT-arthrography. Oateoarthr Cartil. 16: 1011-1017. 31 Abadie E, Ethgen D, Avouac B, Bouvenot G, Branco J, et al. (2004). Recommendations for the use of new methods to assess the efficacy of disease –modifying drugs in the treatment of osteoarthritis. Osteoarthr Cartil. 12: 263-268. 32 Moreau M, Dupuis J, Bonneau NH, Desnoyers M (2003). Clinical evaluation of a nutraceutical, carprofen and meloxicam for the treatment of dogs with osteoarthritis. Vet Rec. 152: 323-329. 33 Neil KM, Caron JP, Orth MW (2005). The role of glucosamine and chondroitin sulfate in treatment and prevention of osteoarthritis in animals. J Am Vet Med Assoc. 226:1079-1088. 34 McCarthy G, O'Donovan J, Jones B, et al. (2007). Randomized double-blind, positive –controlled trial to assess the efficacy of glucosamine/chondroitin sulfate for the treatment of dogs with osteoarthritis. Vet J. 174: 54-61. 35 Sawaya S (2007). Physical and altenative therapies in the management of arthritic patients. IVIS Vet Focus 17: 37-42. 36 Bergh MS, Budsberg SC. (2005). The coxib NSAIDs : potential clinical and pharmacologic importance in veterinary medicine. J Vet Int Med. 19: 633-643. 37 Monteiro-Steagall BP, Steagall PV, Lascelles BD (2013). Systematic review of nonsteroidal anti-inflammatory drug-induced adverse effects in dogs. J Vet Int Med. 27: 1011- 1019. 38 Sessions JK, Reynolds LR, Budsberg SC (2005). In vivo effects of carprofen, deracoxib, and etodolac on prostanoid production in blood, gastric mucosa, and synovial fluid in dogs with chronic osteoarthritis. Am J Vet Res. 66: 812-827. 39 Raekillio M, Hielm-Bjorkman A, Kejonen J, Salonen H, Sankari SM (2006). Evaluation of adverse effects of long-term orally administered carprofen in dogs. J Am Vet Med Assoc. 228: 876-880. 40 Canine Arthritis (2006). Retrieved 07 2013, from Canine Arthritis. 41 Innes JF, Clayton J, Lascelles B (2010). Review of the safety and efficacy of long- term NSAID use in the treatment of canine osteoarthritis. Vet Rec. 166 (8): 226-230. 42 Rychel J (2010). Diagnosis and Treatment of Osteoarthritis. Topics Compan Anim Med. 25: 20-25. 43 Goggs R, Vaughan-Thomas A, Clegg PD, Carter SD, Innes, JF, et al. (2005). Nutraceutical therapies for degenerative joint diseases: a critical review. Crit Rev Food Sci Nutri. 45: 145-164. 44 Lee YH, Woo JH, Choi SJ, Ji JD, Song GG (2010). Effect of glucosamine or chondroitin on the osteoarthritis progression: a meta-analysis. Rheumatol Int. 30: 357-363. 45 Canine Osteoarthritis Management with Glucosamine for Dogs (2012). Retrieved 8 19, 2013. 46 Ohnishi A, Osaki T, Matahira Y, Tsuka T, Imagawa T, et al. (2013). Correlation of plasma amino acid concentrations and chondroprotective effects of glucosamine and fish collagen peptide on the development of osteoarthritis. J Vet Med Sci. 75: 497-502. 47 Iovu M, Dumais G, Du Souich P (2008). Anti-inflammatory activity of chondroitin sulfate. Osteoarthr Cartil 16: S14-18. 48 Biswas TK, Polley G, Pandit S, Pratip DK, et al. (2010). Effects of adjunct therapy of a proprietary herbo-chromium supplement in type 2 diabetes: a randomized clinical trial. Intl J Diabetes Devel Countr 30: 153-161. 49 Hua Y, Clark S, Ren J, Sreejayan N (2012). Molecular mechanisms of chromium in alleviating insulin resistance. J Nutri Biochem. 23: 313-319. 50 Ryan GJ, Wanko NS, Redman AR, Cook CB (2003). Chromium as adjunctive treatment for type 2 diabetes. Ann Pharmacother 37: 876-885. 51 Rains JL, Jain SK (2011). Oxidative stress, insulin signaling, and diabetes. Free Rad Biol Med. 50: 567-575. 52 Acharya SB, Frotan MH, Goel RK, Tripathy SK, Das PK (1988). Pharmacological actions of Shilajit. Indian J Exp Biol. 26: 775-777. 53 Goel RK, Banerjee RS, Acharya SB (1990). Antiulcerogenic and antiinflammatory studies with shilajit. J Ethnopharmacol. 29: 95-103. 54 Bhattacharya SK, Sen AP, Ghosal S (1995). Effects of Shilajit on biogenic free radicals. Phytother Res 9: 56-59. 55 Schliebs R, Liebmann A, Bhattacharya SK, Kumar A, Ghosal S, Bigi V (1997). Systemic administration of defined extracts from Withania somnifera (Indian Ginseng) and Shilajit differentially affects cholinergic but not glutamatergic and GABAergic markers in rat brain. Neurochem Intl. 30: 181-190. 56 Park JS, Kim GY, Han K (2006). The spermatogenic and ovogenic effects of chronically administered Shilajit to rats. J Ethnopharmacol. 107: 349-353. 57 Agarwal SP, Khanna R, Karmarker R, Anwar K, Khar RK (2007). Shilajit: a review. Phytother Res. 21(5):401-405. 58 Tripathi YB, Shukla S, Chaurasia S, Chaturvedi S (1996). Antilipid peroxidative property of Shilajit. Phytother Res. 10: 269-270. Values are means±SEM; Normal heart rate= 70-160 beats per minute; Normal body temperature= 101-102.5 ºF. Values are means±SEM; Normal reference values: BUN (7-26 mg/dl); Creatinine (0.0-1.35 mg/dl); Total bilirubin (0.1-0.6 mg/dl); ALT (10-120 IU/L); AST (15-65 IU/L); CK (60-450 IU/L). *Denotes significantly different compared to pretreated values (P< 0.05). Figure 1: Effects of placebo or Crominex® 3+ (25 mg, bid) on overall pain in moderately arthritic dogs. Overall pain was graded on the scale of 0 to 10 (0, no pain; 2.5, mild pain; 5, moderate pain; 7.5, severe pain; and 10, severe and constant pain). Details of pain measurement criteria are described in the text and our previous publications [19-23]. 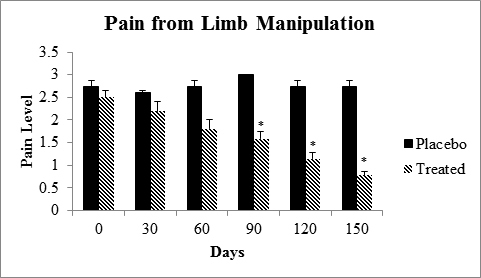 Figure 2: Effects of placebo or Crominex® 3+ (25 mg, bid) on pain from limb manipulation in moderately arthritic dogs. Pain from limb manipulation was graded on a scale of 0-4 (0, no pain; 1, mild pain; 2, moderate pain; 3, severe pain; and 4, severe and constant pain). Details of pain measurement criteria are described in the text and our previous publications [19-23]. Figure 3: Effects of placebo or Crominex® 3+ (25 mg, bid) on pain after physical exertion in moderately arthritic dogs. Pain after physical exertion was graded on a scale of 0-4 (0, no pain; 1, mild pain; 2, moderate pain; 3, severe pain; and 4, severe and constant pain). Details of pain measurement criteria are described in the text and our previous publications [19-23].